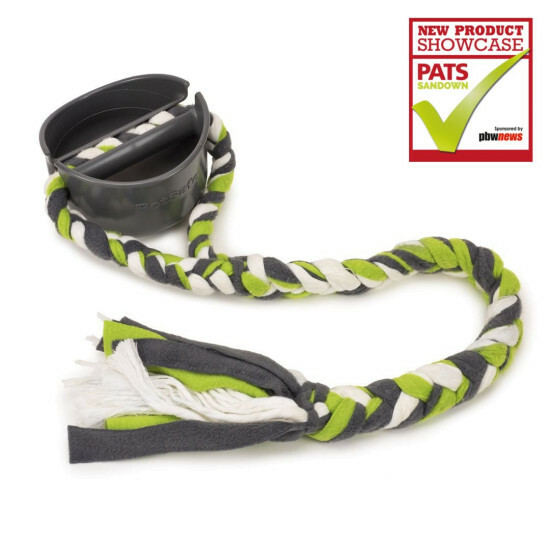 You and your dog can play the day away with the PetSafe® Grip ‘n’ Tug! This fun toy has a unique handle that is designed to help protect your hand when playing while also making it easier to hold. 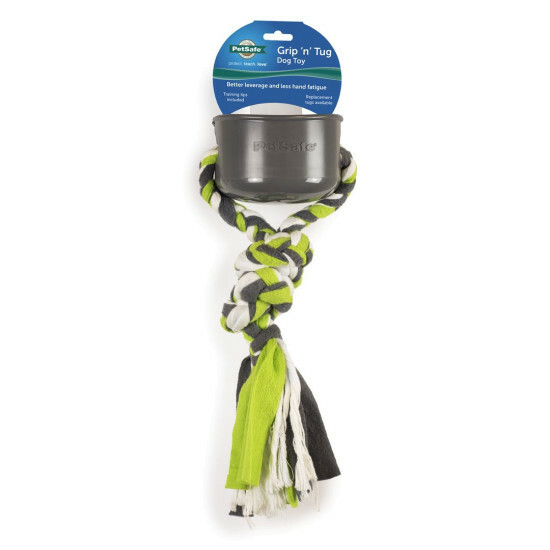 The braided fleece and rope tug is soft to the touch but holds up to pulling, yanking and jerking when playing tug-of-war and other exciting games. When the braided tug becomes dirty, simply toss it in the washing machine to clean. Playing with your pet has never been this fun or easy! Every dog is different in how they play with toys like the PetSafe Grip ‘n’ Tug. If your dog is a powerful chewer, we recommend closely watching your dog while playing. If the toy becomes damaged or broken, replace the braided fleece tug.